More seniors are using online dating services than ever before. There are many dating websites that also have mobile apps, so it is easy to connect with singles in your area. The increasing options for dating apps makes it difficult to know what apps you should be using. Below are our top senior dating apps. Senior Match is the most popular dating website for seniors, which is mainly due to the fact that it has many features available and is simple to use. 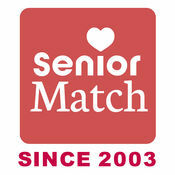 Senior Match was established years ago and has been used on desktops from its creation. Senior Match only allows people who are over the age of 30 to become members. This helps limit the amount of people who are not seniors on the dating service, which can help you connect with other seniors in your area. 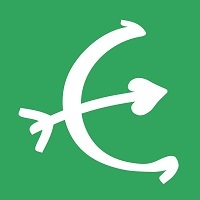 Along with the desktop version, there is also a free app that you can use to connect with local singles. The app is available on iOS and Android. Most features of the desktop version are on the mobile versions. The pros of the Senior Match app is that it allows you to create an account for free and the app is very stable. Seniors Match also allows you to browse singles for free. The one con of the Senior Match is that it is not very useful for casual daters. There are very sophisticated match algorithms working in the background that track who you are connecting with. 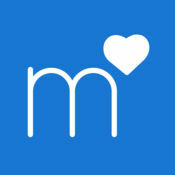 Match.com is one of the most popular dating sites online today, and it has members of all ages. The app has a highly interactive user interface, which makes it easy to search for singles in your area. 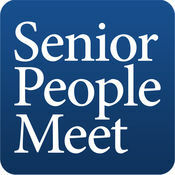 The app is commonly used by senior singles daily. The Match.com app is one of the best apps that you can download because you can start searching and meeting singles in your area. The main pro of using Match.com app is that the search options are very useful and make it easy to find singles who you may like. Match.com will also send you daily matches, so you can connect with even more singles. There is also a location-based system that will update to show you singles who are near you. The main con is that the matching algorithm can be too specific, so it could limit number of singles who you see in searches. OurTime is one of the fastest growing senior dating sites today. It is a simply designed website with an impressive amount of search features that have helped it takeoff. 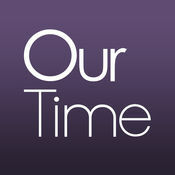 OurTime makes it simple to connect with other singles by email, live chat, and even text message. The app will also send you daily matches for you to browse. 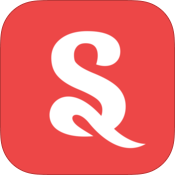 The main pro of OurTime’s App is that it has so many extra search and communication features, which make it easy to find and connect with singles both on desktop and mobile devices. The custom matching algorithms are not as harsh as other dating services, so you receive a good variety of matches. However, this huge amount of features can be a con, especially if you are not familiar with technology or are not going to use them. This is a very effective app that is compatible with iOS systems and Android systems. On this App, you can choose from more than hundred thousand fellow old people to date. You can chart, make video calls and even write long online letters through this app. The site management team enhanced the technical attributes of this app such that even in the lowest network range, its performance will still be excellent. The major drawback is that it does not have an area code identification feature. This means that people might end up getting hooked up with partners who are far from their locality. The system is being upgraded though, and soon this feature will be installed. 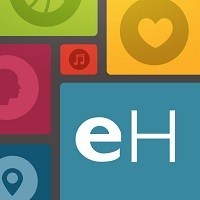 Make sure you download, create a nice profile and describe yourself. This is a site that is only meant for the educated old aged singles. People with Degrees, Masters and PHD’s are the only ones being allowed to register as members. It can be downloaded on both Android and Apple Operating systems as well as the Windows operating system. On this site, you can find partners from all parts of the world but you can turn on your area code identification so that you only get partners who are within your locality. This means that you will not have a hard time meeting the person you will get interested with. This is a very effective site where old people can easily find people to start a relationship with. It is a well performing site that can be downloaded on Android and iOS systems and it’s easy to use. You can sign up for an account from the site or you can sign up at the app itself and create an amazing profile so that other old people can start texting you and calling to have a relationship with you. It has a trial period where people are allowed to use the services for free before they start paying for the described service plans. The App is regularly well maintained therefore you will not experience any technical difficulties at all. Stitch is a very fulfilling app for those who are looking for romance only, friendship only or Romance plus friendship. You can choose the type of people you are interested on straight from the beginning of the registration process. When registering, answer the questions perfectly because they are the filters that will be used to find the people you are interested on. You can install it on either android or Apple devices because there is a version for every operating system. You can text and call your loved ones 24 hours a day and to make matters more simple for you, you will only be connected to the people who are around your area code. To verify that it is efficient and effective, there is a free trial period given to new members. The bottom line is that these apps are only for old men who are above 50 years. There are other online dating sites for middle-aged and young men and women to date as well.